Makatite: Mineral information, data and localities. 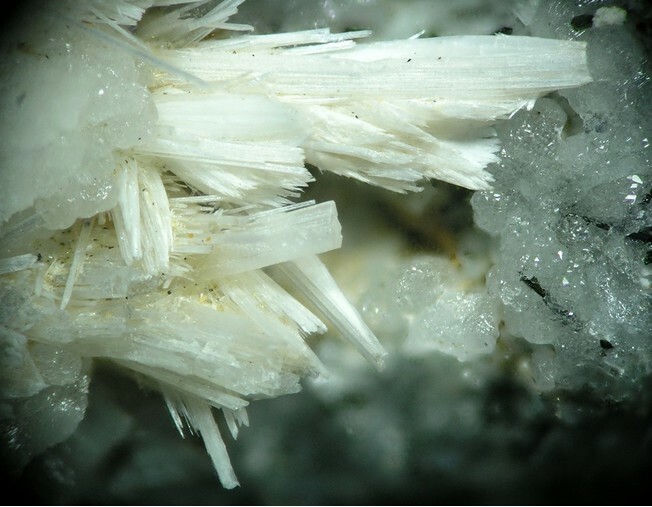 This page provides mineralogical data about Makatite. Tuperssuatsiaite 15 photos of Makatite associated with Tuperssuatsiaite on mindat.org. Villiaumite 6 photos of Makatite associated with Villiaumite on mindat.org. Pectolite 6 photos of Makatite associated with Pectolite on mindat.org. Zakharovite 4 photos of Makatite associated with Zakharovite on mindat.org. Amphibole Supergroup 3 photos of Makatite associated with Amphibole Supergroup on mindat.org. Eudialyte 2 photos of Makatite associated with Eudialyte on mindat.org. Microcline 2 photos of Makatite associated with Microcline on mindat.org. 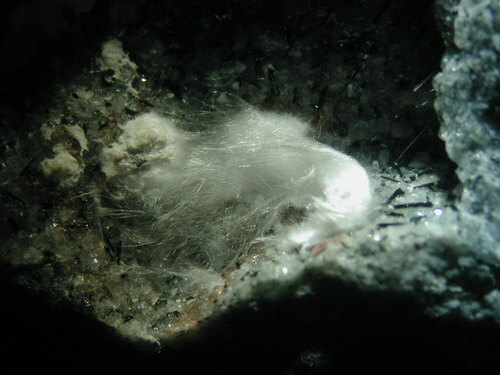 Natrolite 2 photos of Makatite associated with Natrolite on mindat.org. Hainite-(Y) 2 photos of Makatite associated with Hainite-(Y) on mindat.org. Fluorapophyllite-(K) 2 photos of Makatite associated with Fluorapophyllite-(K) on mindat.org. 14.1.5 Magadiite Na2Si14O29 · 11H2O Mon. 14.1.6 Kenyaite Na2Si22O41(OH)8 · 6H2O Mon. SHEPPARD, R.A., GUDE, A.J., and HAY, R.L. 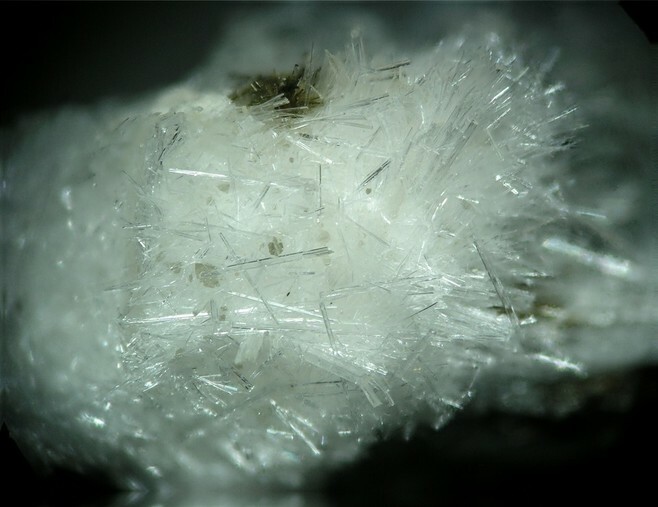 (1970) Makatite, a new hydrous sodium silicate mineral from Lake Magadi, Kenya. American Mineralogist, 55, 358-366. KHOMYAKOV, A.P., STEPANOV, V.I., BYKOVA, and NAUMOVA, I.S. (1981) Makatite, Na2Si4O9•5H2O. Doklady Akademii Nauk SSSR, Earth Sciences Section, 255, No., 181-185. WALENTA, K., ZWIENER, M., and TELLE, R. (1981) Seltene Mineralien aus dem Nephelinit-Steibruch am Höwenegg im Hegau: Makatit und Paulingit. Aufschluss, 32, 130-134 (in German). HORVÁTH, L., and GAULT, R.G. (1990) The mineralogy of Mont Saint Hilaire. Mineralogical Record, 21, 284-359. HORVÁTH, L., PFENNINGER HORVÁTH, E., GAULT, R.A., and TARASSOFF, P. (1998) Mineralogy of the Saint Amable sill, Varennes and Saint Amable, Québec, Canada. Mineralogical Record, 29, 83-118. The following Makatite specimens are currently listed for sale on minfind.com. Sheppard, R.A., Gude, A.J. (1970) Makatite, A new hydrous sodium silicate mineral from Lake Magadi, Kenya. The American Mineralogist, 55, 358-366. HB2/2 (1995).